A statutory holiday to honour residential school survivors does have some Indigenous Peoples wondering how a day off for federal employees honours residential school survivors. I feel it serves as a reminder of the importance to remember the past but to look to the future. There is also a good deal of work that needs to be done to support this day in order for it to have the desired effect of reminding people of the residential schools and how the children, their families, communities and cultures suffered, and in many cases, continue to suffer. If you look at Remembrance Day as a comparison, there is a great deal of support and organization involved and tangible, universally recognized means for honouring the fallen. Declaring a day without any sort of commemorative actions and events could be seen as an empty gesture and may not further reconciliation. When I first thought about an appropriate date, I thought the date the last residential school, Gordon Indian Residential School in Punnichy, Saskatchewan, closed its doors would be a good candidate. We had heard that the school closed on January 2, 1996, but our efforts to verify that date have been unsuccessful. We contacted many agencies and organizations that were involved with the school but so far have come up empty-handed. If anyone can verify the date, please contact us. Is the initiative of Phyllis Webstad, a residential school survivor. Ms Webstad and supporters have poured themselves into this initiative, which has now become a national phenomenon. Choosing September 30 as the Day of Reconciliation could undermine the foundation of recognition established by Ms Webstad and her supporters. The simple act of wearing an orange t-shirt on September 30 has been embraced by students of all ages, and faculty, across the country. In 1982, the same year Aboriginal Peoples of Canada was defined in Section 35(2), the National Indian Brotherhood (now known as the Assembly of First Nations) called for a creation of a National Aboriginal Solidarity Day on June 21, to coincide with summer solstice, a day of traditional significance to Indigenous Peoples around the world. In 1995, the Royal Commission on Aboriginal Peoples recommended a day be designated as National First Peoples Day. The Sacred Assembly, a national conference of Aboriginal and non-Aboriginal people chaired by the late Elijah Harper, called for a national holiday to celebrate the contributions of Aboriginal Peoples in Canada. In 1996, then Governor General Romeo LeBlanc proclaimed that National Aboriginal Day would be celebrated June 21 each year. "On June 21st, this year and every year, Canada will honour the native peoples who first brought humanity to this great land," said Leblanc. "And may the first peoples of our past always be full and proud partners in our future." National Indigenous Peoples Day (NIPD) was designated as a day for celebration. It is a day for Indigenous Peoples to celebrate their cultures, languages, and ceremonies and to celebrate the perseverance of their cultures, languages, and ceremonies. It is a day of joy, which all Canadians can join in on and celebrate with Indigenous Peoples. Is a Day of Reconciliation about joy and celebration? Or is it about reminding all Canadians of the horrific conditions an estimated 150,000 Indigenous children were forced to endure, and the ongoing impacts of those schools? It is a day to mourn the estimated 6,000 children who died or disappeared from the schools. It is a day for all Canadians to reflect on our shared history. The day designated to reflect on the horrors of war and honour those who died in combat, November 11, is not a day of celebration. It is a day of sombre remembrance and respect. Residential school victims and survivors deserve a day of recognition, remembrance, and respect. I’m in favour of June 11th, the day former Prime Minister Stephen Harper apologized to residential school survivors and their families on behalf of Canada as an appropriate day. 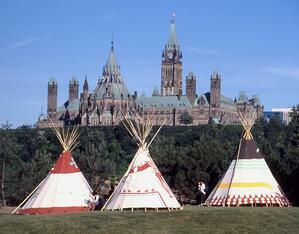 It was the apology that launched the Truth and Reconciliation Commission of Canada. We ran a poll on which date readers thought was most appropriate for the National Day for Truth and Reconciliation. We had intended to keep the poll open until February 28th, however, on February 5, 2019, the private members' bill was amended to make September 30 the date to honour residential school survivors.